A metallic voice rasped over the loud-speakers and echoed through the lofty marble and aluminum concourse of the New Chicago Monorail Terminal. "Atom City express on Track Seven! Space Academy first stop! Passengers for Space Academy will please take seats in the first six cars!" "Huh! A real snappy unit!" Tom muttered to himself. "Hmmm? What?" Roger blinked and stared bleary-eyed at Tom. "Nothing, Roger," Tom replied. "I only hope you guys can stay awake long enough to get on the monorail." "It's your own fault, Tom," rumbled Astro in his bull-like voice. "If your family hadn't thrown so many parties for us while we were on leave, we'd have had more sleep." "I didn't hear any complaints then," snorted Tom. "Just get into the car before you cork off, will you? I'm in no shape to carry you." "Oh, brother!" Tom groaned as he curled himself into the cushions, "I'm going to sleep all the way to the Academy." "I'm asleep already," mumbled Roger, his voice muffled by his cap pulled low over his face. Suddenly Astro sat bolt upright. "I'm hungry!" he announced. "Why, you overgrown Venusian ape, Mrs. Corbett gave you dinner less than an hour ago!" Roger complained. "Steak, French fries, beans, corn, pie, ice cream...."
"Two helpings," chimed in Tom. "And now you're hungry!" Roger was incredulous. "Can't help it," calmly answered Astro. "I'm a big guy, that's all." He began digging through his space bag for an apple Mrs. Corbett had thoughtfully provided. Tom finally stirred and sat up. He had learned a long time ago the futility of trying to deny Astro's Gargantuan appetite. "There's a dining car on this section of the monorail, Astro," he said, slapping a crumpled mass of credits into the Venusian's hamlike hand. "Here. Have yourself a good time." He slumped back in his seat and closed his eyes. "Yeah," growled Roger, "and when you come back, don't make any noise!" "Hey! What th—" stuttered Astro as he sprawled on top of his friends. The two sleepy cadets came up howling. "Astro! What in blazes do you think you're doing?" roared Tom. "Why, you space-brained idiot," yelled Roger, "I ought to lay one on your chin!" "It was those two guys at the end of the car," explained Astro. "They pushed me!" He lumbered toward them, followed by Tom and Roger. Stopping squarely in front of them, he demanded, "What's the big idea?" "Go back to your beauty rest, spaceboy!" jeered the heavier of the two men and turned to his companion, adding with a snarl, "How do you like his nerve? We not only have to pay taxes to support these lazy kids and teach them how to be spacemen, but they're loud-mouthed and sassy on top of it!" The other man, smaller and rat-faced, laughed. "Yeah, we oughta report them to their little soldier bosses at Space Academy." "You know, Tom," he drawled, looking the heavier of the two right in the eye, "the only thing I don't like about being a Space Cadet is having to be polite to all the people, including the space crawlers!" "Why, you little punk," sneered the bigger man, "I oughta wipe up the deck with you!" Roger smiled thinly. "Don't try it, mister. You wouldn't know what hit you!" "Come on, Wallace," said the smaller man. "Leave 'em alone and let's go." Astro took another step forward and roared, "Blast off. Both of you!" The two men turned quickly and disappeared through the door leading to the next monorail car. The three cadets turned and headed back down the aisle to their seats. "Let's get some sleep," said Tom. "We better be in good shape for that new assignment when we hit the Academy. No telling what it'll be, where we'll go, or worse yet, when we'll blast off. And I, for one, want to have a good night's rest under my belt." "Yeah," agreed Roger, settling himself into the cushions once more. "Wonder what the orders will be. Got any ideas, Tom?" "No idea at all, Roger," answered Tom. "The audiogram just said report back to the Academy immediately for assignment." "Hey, Astro!" exclaimed Roger, seeing the Venusian climb back into his seat. "Aren't you going to eat?" "I'm not hungry any more," grunted Astro. "Those guys made me lose my appetite." Tom looked at Roger and winked. "Maybe we'd better tell Captain Strong about this, Roger." "Get Astro mad enough and he won't want to eat. The Academy can cut down on its food bills." "Ah, rocket off, you guys," growled Astro sleepily. Tom and Roger smiled at each other, closed their eyes, and in a moment the three cadets of the Polaris unit were sound asleep. Suspended from a single gleaming rail that stretched across the western plains like an endless silver ribbon, the monorail express hurtled through the early dawn speeding its passengers to their destination. As the gleaming line of streamlined cars crossed the newly developed grazing lands that had once been the great American desert, Tom Corbett stirred from a deep sleep. The slanting rays of the morning sun were shining in his eyes. Tom yawned, stretched, and turned to the viewport to watch the scenery flash past. Looming up over the flat grassy plains ahead, he could see a huge bluish mountain range, its many peaks covered with ever-present snow. In a few moments Tom knew the train would rocket through a tunnel and then on the other side, in the center of a deep, wide valley, he would see Space Academy, the university of the planets and headquarters of the great Solar Guard. He reached over and shook Roger and Astro, calling, "All right, spacemen, time to hit the deck!" "Ahhhoooohhhhhh!" yawned Astro. Standing up, he stretched and touched the top of the monorail car. "Let's get washed before the other passengers wake up," said Tom, and headed for the morning room. Astro and Roger followed, dragging their feet and rubbing their eyes. Five minutes later, as the sleek monorail whistled into the tunnel beneath the mountain range, the boys of the Polaris unit returned to their seats. "Back to the old grind," sighed Roger. "Drills, maneuvers, books, lectures. The same routine, day in day out." "Maybe not," said Tom. "Remember, the order for us to report back was signed by Commander Walters, not the cadet supervisor of leaves. I think that means something special." Suddenly the monorail roared out of the tunnel and into brilliant early-morning sun again. The three cadets turned quickly, their eyes sweeping the valley for the first sight of the shining Tower of Galileo. "There it is," said Tom, pointing toward a towering crystal building reflecting the morning light. "We'll be there in a minute." Even as Tom spoke, the speed of the monorail slackened as it eased past a few gleaming structures of aluminum and concrete. Presently the white platform of the Academy station drifted past the viewport and all forward motion stopped. The doors opened and the three boys hurried to the exit. All around the cadets, men and women in the vari-colored uniforms of the Solar Guard hurried through the station. The green of the Earthworm cadets, first-year students of the Cadet Corps; the brilliant rich blue of the senior cadets like the Polaris unit; the scarlet red of the enlisted Solar Guard; and here and there, the black and gold of the officers of the Solar Guard. The three cadets hurried to the nearest slidewalk, a moving belt of plastic that glided silently across the ground toward Space Academy. It whisked them quickly past the few buildings nestled around the monorail station and rounded a curve. The three cadets looked up together at the gleaming Tower of Galileo. Made of pure Titan crystal, it soared above the cluster of buildings that surrounded the grassy quadrangle and dominated Space Academy like a translucent giant. The cadets stepped off the slidewalk as it glided past the Tower building and ran up the broad marble stair. At the huge main portal, Tom stopped and looked back over the Academy grounds. All around him lay the evidence of mankind's progress. It was the year 2353, when Earthman had long since colonized the inner planets, Mars and Venus, and the three large satellites, Moon of Earth, Ganymede of Jupiter, and Titan of Saturn. It was the age of space travel; of the Solar Alliance, a unified society of billions of people who lived in peace with one another, though sprawled throughout the universe; and the Solar Guard, the might of the Solar Alliance and the defender of interplanetary peace. All these things Tom saw as he stood in the wide portal of the Tower Building, flanked by Astro and Roger. Turning into the Tower, the three cadets went directly to the office of their unit commander. The training program at Space Academy consisted of three cadets to a unit, with a Solar Guard officer as their teacher and instructor. Steve Strong, captain in the Solar Guard, had been their cadet instructor since the unit had been formed and he now smiled a welcome as the cadets snapped to attention in front of his desk. "Polaris unit reporting as ordered, sir," said Tom, handing over the audiogram order he had received the day before. "Thank you, Corbett," said Strong, taking the paper. "At ease." The three boys relaxed and broke into wide grins as Strong rounded his desk and shook hands with each of them. "Glad to have you back, boys," he said. "Did you enjoy your leave?" "And how, sir," replied Tom. "Tom's mother showed us a whale of a good time," chimed in Roger. "And how she can cook!" Astro licked his lips involuntarily. "Well, I hope you had a good rest—" said Strong, but was suddenly interrupted by the sound of a small bell. Behind his desk a small teleceiver screen glowed into life to reveal the stern face of Commander Walters, the commander of Space Academy. Strong turned to the teleceiver and called, "Yes, Commander Walters?" "Did the Polaris unit arrive yet, Steve?" asked the commander. "Yes, sir," replied Strong. "They're here in my office now, sir." "Good," said the commander with a smile. "I just received a report the exposition will open sooner than expected. I suggest you brief the cadets and raise ship as soon as possible." "Very well, sir," answered Strong. The screen darkened and he turned back to the cadets. "Looks like you got back just in time." "What's up, sir?" asked Tom. Strong returned to his chair and sat down. "I suppose you've all heard about the Solar Exposition that opens on Venus next week?" Tom's eyes lit up. "Have we! That's all the stereos and visunews and teleceivers have been yacking about for weeks now." "Well," said Strong with a smile, "we're going!" The three cadets couldn't restrain themselves and burst out in a happy shout. Then Roger calmed down enough to comment, "Sounds more like another vacation than an assignment, sir." "Hardly, Manning," replied Strong. "You see, every industry, society, organization, and governmental agency is setting up exhibits at the exposition to show the people what's taking place in their part of the solar system. There'll also be an amusement section." Strong chuckled. "I've seen pictures of some of the tricks and rides they've developed to entertain the younger generation. Believe me, I'd rather take full acceleration on a rocket ship than ride on any of them." "But what will we do, sir?" asked Tom. "Our job is very simple. We're to take the Polaris to the exposition and land on the fairgrounds. When the fair opens, we show all the visitors who are interested, everything about her." "You mean we're going to be"—Roger swallowed—"guides?" "That's right, Manning," said Strong. "You three will guide all visitors through the Polaris." "How long will we be there, sir?" asked Tom. "A month or so, I guess. The Polaris will be the first Academy exhibit. When you leave, another unit will replace you with their ship and do the same thing." "But—but—" stammered Astro, "what will we say to them? The visitors, I mean?" "Just answer all their questions, Astro. Also, make up a little speech about the functions of your particular station." Strong looked at his watch and rose to his feet. "It's getting late. Check the Polaris over and stand by to raise ship in an hour." The cadets came to attention, preparing to leave. "One thing more! Don't get the idea that this is going to be a space lark," said Strong. "It's very important for the people of the Solar Alliance to know what kind of work we're doing here at the Academy. And you three have been selected as representatives of the entire Cadet Corps. So see that you conduct yourselves accordingly. All right, dismissed!" The three cadets saluted sharply and filed out of the room, their skipper's final words ringing in their ears. Fifteen minutes later, having packed the necessary gear for the extended trip, the Polaris unit rode the slidewalk through the grassy quadrangle and the cluster of Academy buildings, out toward the spaceport. In the distance they could see the rocket cruiser Polaris, poised on the launching ramp, her long silhouette outlined sharply against the blue sky. Resting on her four stabilizer fins, her nose pointed toward the stars, the ship looked like a giant projectile poised and ready to blast its target. "Look at her!" exclaimed Astro. "If she isn't the most beautiful ship in the universe, I'll eat my hat." "Don't see how you could," drawled Roger, "after the way you put away Mrs. Corbett's pies!" Tom laughed. "I'll tell you one thing, Roger," he said, pointing to the ship, "I feel like that baby is as much my home as Mom's and Dad's house back in New Chicago." "All right, all right," said Roger. "Since we're all getting sloppy, I have to admit that I'm glad to see that old thrust bucket too!" Presently the three cadets were scrambling into the mighty spaceship, and they went right to work, preparing for blast-off. Quickly, with sure hands, each began a systematic check of his station. On the power deck Astro, a former enlisted Solar Guardsman who had been admitted to the Cadet Corps because of his engineering genius, stripped to the waist and started working on the ship's massive atomic engines. A heavy rocketman's belt of tools slung around his waist, he crawled through the heart of the ship, adjusting a valve here, turning a screw there, seeing that the reactant feeders were clean and clear to the rocket firing chambers. And last of all he made sure the great rocket firing chambers were secure and the heavy sheets of lead baffling in place to protect him from deadly radioactivity. On the radar bridge in the nose of the ship, Roger removed the delicate astrogation prism from its housing and cleaned it with a soft cloth. Replacing it carefully, he turned to the radar scanner, checking the intricate wiring system and making sure that the range finders were in good working order. He then turned his attention to the intercom. "Radar bridge to control deck," he called. "Checking the intercom, Tom." Immediately below, on the control deck, Tom turned away from the control panel. "All clear here, Roger. Check with Astro." "All clear on the power deck!" The big Venusian's voice boomed over the loud-speaker. The intercom could be heard all over the ship unless the many speakers were turned off individually. Tom turned his attention back to the great control panel, and one by one tested the banks of dials, gauges, and indicators that controlled the rocket cruiser. Tom Corbett had wanted to be a space Cadet as long as he could remember. After taking the entrance exams, he had been accepted for the rigid training that would prepare him to enter the ranks of the great Solar Guard. He had met his two unit-mates, Roger and Astro, on his very first day at the Academy, and after a difficult beginning, adjusting to each other's personalities and the discipline of the Academy routine, the three boys had become steadfast friends. As control-deck cadet and pilot, Tom was head of the unit, second-in-command to Captain Strong. And while he could issue orders to Astro and Roger and expect to be obeyed, the three cadets all spoke their minds when it came to making difficult decisions. This had solidified the three cadets into a fighting, experienced, dependable unit. Tom made a final check on the gravity generator and turned to the intercom. "All departments, report!" he called. "Radar bridge checks in O.K.," replied Roger. "Power deck checks in on the nose, Tom," reported Astro. "Right! Stand by! We blast as soon as the skipper gets around." Tom turned to the teleceiver and switched it on. The screen blurred and then steadied into a view of the spaceport outside. Tom scanned the launching ramp below, and, satisfied it was clear, he switched the teleceiver to the spaceport traffic-control circuit. "Rocket cruiser Polaris to spaceport control," he called. "Come in, spaceport control. Request orbit clearance." "Spaceport traffic control to Polaris," reported the traffic officer, his face in focus on the teleceiver screen. "Your orbit has been cleared for blast-off. Orbit number 3847—repeat, 3847—raise ship when ready!" "Orbit 3847," repeated Tom. "End transmission!" "End transmission," said the officer. Tom flipped off the teleceiver and the officer's face disappeared. At the rear of the control deck, Captain Strong suddenly stepped through the hatch and dropped his black plastic space bag on the deck. Tom got up and saluted sharply. "Polaris ready to blast off, sir," he said. "Orbit cleared." "Very well, Corbett," replied Strong, returning the salute. "Carry on!" Tom turned back to the control board and flipped on the intercom. "Control deck to power deck! Energize the cooling pumps!" "Cooling pumps, aye!" said Astro. From the power deck, the massive pumps began their whining roar. The great ship shuddered under the pressure. Tom watched the gauge that indicated the pressure control and then called into the intercom. "All clear forward and up, Tom," reported Roger from the radar bridge. "Strap in for blast-off!" bawled the curly-haired cadet. Captain Strong took his place in the pilot's chair next to Tom and strapping himself in snapped out, "Feed reactant!" Spinning a small wheel at the side of the control panel, Tom reported, "Feeders at D-9 rate, sir!" Then, as the hiss of fuel pouring into the mighty engines of the ship blended with the whine of the pumps, Tom snapped out a third order. "Cut in take-off six yards!" Receiving acknowledgment from below, he grasped the master blast-off switch and watched the sweeping hand of the astral chronometer. "Stand by to raise ship!" he yelled. "Blast off minus—five—four—three—two—one—zero!" Slowly, the rockets blasting evenly, the giant ship lifted itself free of the ground. Then, gaining speed, it began rocketing away from the Earth. Like a giant shining bullet, the great spaceship blasted through the dark void of space, her nose pointed to the distant misty planet of Venus. 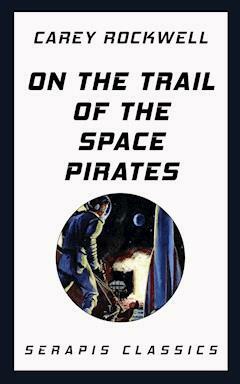 Once again Tom Corbett and his unit-mates had embarked on a mission for the Solar Guard. "Stand by for touchdown!" bellowed Captain Strong's voice on the big spaceship's intercom. "Control deck standing by," replied Tom. "Corbett," Strong continued, "you may take her down as soon as you get clearance from Venusport traffic control." Tom acknowledged the order with a brisk "Aye, sir! In a few moments he received permission to touch down on the newly colonized planet. Then, turning his attention to the control board, he requested a ground-approach check from Roger. "About two miles to touchdown, Tom," reported Roger from the radar bridge. "Trajectory clear!" "O.K., Roger," said Tom. Glancing quickly at the air speed and rocket thrust indicators, he flipped a switch and sang out, "Power deck, reduce thrust on main drive rockets to minimum!" "Got ya, Tom," boomed Astro. "Closing in fast, sir," said Tom to Strong, who had come up from below and now stood at the cadet's shoulder watching as Tom maneuvered the big ship through the Venusian atmosphere, his keen eyes sweeping the great panel of recording gauges and dials. "One thousand feet to touchdown," intoned Roger from the radar bridge. Reacting swiftly, Tom adjusted several levers, then picking up the intercom microphone, he threw a switch and yelled, "Power deck! Full braking thrust!" Deep inside the Polaris, Astro, who tended the mighty rocket power plant with loving care, eased home the sensitive control mechanism, applying even pressure to the braking rockets. As the giant spaceship settled smoothly to within a few feet of the surface of the concrete spaceport, Tom threw the master switch that cut all power. A moment later the huge craft dropped easily, then settled on the landing platform with a gentle thump. "Touchdown!" yelled Tom. Then, glancing at the astral chronometer on the control board, he turned to Strong, and saluting smartly, reported, "Polaris completes space flight at exactly seven fifty-two-O-two!" Strong returned the salute. "Very well, Tom. Now, I want you, Roger, and Astro to come with me to the exposition commissioner's office for an interview and detailed orders." A few minutes later, dressed in fresh uniforms, the three cadets followed their unit commander out of the ship, then stood by as Strong ordered the chief petty officer of an enlisted Solar Guard working party to prepare the Polaris for moving to the exposition site. "Empty the reactant fuel tanks of all but enough for us to raise ship and touch down over to the fairgrounds," said Strong. "Better strip her of armament, too. Paralo-ray pistols and rifles, the three-inch and six-inch atomic blasters, narco sleeping gas; in fact, everything that could possibly cause any trouble." "Yes, sir," replied the scarlet-clad enlisted spaceman. "One thing more," added Strong. "There will be a crew living aboard, so please see that the galley is stocked with a full supply of both fresh and synthetic foods. That's about all, I guess." "Very well, sir," replied the petty officer with a crisp salute. He turned and began bawling orders to a squad of men behind him and immediately they were swarming over the great ship like ants. Fifteen minutes later, a jet cab swerved to a stop in front of the tallest of the Venusport buildings, the Solar Alliance Chamber. Strong paid the driver, adding a handsome tip, and flanked by his three cadets strode briskly into the building. Crossing a high-ceilinged lobby, they entered an express vacuum elevator and five seconds later stepped out onto the four-hundredth floor. There, Strong slid a panel door to one side, and, followed by the cadets, stepped inside the office of Mike Hawks, exposition commissioner and retired senior officer of the Solar Guard. The office was impressively large and airy, with an outside wall forming a viewport of clear Titan crystal reaching from floor to vaulted ceiling and affording a magnificent view of the city of Venusport and, beyond it, the futuristic buildings of the exposition itself. Another wall, equally as large, was covered by a map of the exposition grounds. Mike Hawks, a man with steel-gray hair, clear blue eyes, and a ramrod military bearing, sat behind a massive desk talking to two men. He looked up when Strong and the cadets walked in and rose quickly with a broad smile to greet them. "Steve!" he exclaimed, rounding the desk to shake hands with his old friend. "I never dreamed we'd have you and the Polaris unit at our fair!" He nodded warmly to the cadets who stood at rigid attention. "At ease, cadets. Glad to have you aboard." "I was just as surprised to get this assignment, Mike," said Strong, pumping the officer's hand. Nodding toward the men seated in front of Hawks' desk, he apologized, "Sorry to bust in on you like this, old man. Didn't know you were busy." "It's quite all right." The commissioner smiled. "Just handing out a few licenses for the concessions in the amusement section at the fair. People expect to have a little fun when they go to a fair, you know. By the stars, they're going to have it so long as I'm commissioner." He turned to the cadets. "Sit down, boys. You too, Steve. I'll be with you in a minute." He turned back to his desk and the waiting men. The cadets, at a nod from Strong, sat down on a leather couch that stretched the length of one wall and listened while Hawks completed his business with the two men. "There you are," said Hawks, applying the seal of his office to a slip of paper. "That gives you the right to operate a concession in the amusement area as long as the fair is open." One of the men took the paper and glanced at it quickly. "Wait a minute, Commissioner. This is over near the edge of the area," he complained. "We wanted to get in the middle. How do you expect us to make any credits away out there by ourselves?" The man's tone was surly and disrespectful. "Sorry, but that's the only location left. In fact," Hawks added acidly, "you're lucky to get it!" "Really?" sneered the heavier of the two. "Well, I'm sure going to find out about this!" Hawks stood up and eyed the two men coldly. "I've been appointed commissioner of this exposition by the delegates to the Solar Alliance Council. I answer only to the council. If you have a complaint, then you must present your case before that body." He cleared his throat and glared at them from behind his desk. "Good day, gentlemen!" he said. The two men, who until now had been seated facing the desk, got up, and after glaring at Hawks, turned and walked toward the door. Tom gasped, and grabbing Roger by the arm, involuntarily pointed at the two men. "Look, Roger—those men—" he whispered. "Yeah," said Roger. "Those are the wise-guy space crawlers we met on the monorail, the ones who called us punks!" "How'd they get here so fast?" asked Astro. "Must have taken a jetliner from Atom City, I guess." Strong, who sat near Tom, heard the exchange between the cadets. "You know those men?" he asked. "Well—uh—not exactly, sir. We just had a little run-in with them on the monorail returning from leave, that's all," said Tom. "Nothing serious. They don't think much of the Solar Guard, though." "I gathered as much," said Hawks dryly. He walked over from his desk. "I hated to give them the license to operate, but I had to, since I had no valid reason to turn them down. They have a good idea, too." "That so? What is it?" asked Strong. "They have an old chemical-burning space freighter in which they're going to take fair visitors up for a short ride. You see, the big one, Gus Wallace, is an old deep-space merchantman. The smaller one is Luther Simms, a rocketman." "Hm. Not a bad idea at all," mused Strong. "They should make out all right." With that, the two Solar Guard officers dropped the incident of Wallace and Simms and turned to exchanging news of mutual friends and of what each had been doing since their last meeting. Finally, as the conversation was brought around to the exposition, Hawks got up and sat on the side of the desk, facing Strong and the cadets. His eyes glowed as he spoke. "Steve," he said, "this is going to be the greatest gathering of minds, thoughts, and ideas in the knowledgeable history of mankind! There are going to be lectures from the greatest minds in the system on any and all subjects you can think of. In one building we're going to build a whole spaceship—a rocket cruiser—piece by piece, right in front of the eyes of fair visitors. In another building we're going to have the greatest collection of musicians in the universe, continuously playing the most beautiful music, in a hall built to seat a half million people. Industry, science, medicine, art, literature, astrophysics, space flight, to say nothing of a comparative history exhibit designed to show the people where our forefathers went off the track by warring against each other. In fact, Steve, everything you can think of, and then more, will be represented here at the exposition. Why, do you know I've been working for three years, co-ordinating ideas, activity, and information!" Strong and the cadets sat transfixed as they listened to the commissioner speak in glowing terms of the exposition, which, until this time, by the cadets at least, had been considered little more than a giant amusement park. Finally Strong managed to say, "And we thought the Polaris was going to be so big, it'd be the center of attraction." He smiled. Hawks waved his hand. "Look, I don't want to offend you or the boys, Steve, but the fact is, the Polaris is one of the smaller exhibits!" "I can see that now," answered Strong. "Tell me, Mike, just what do you want us to do?"